I really love the music Matt Steven creates by himself or in collaboration with others. 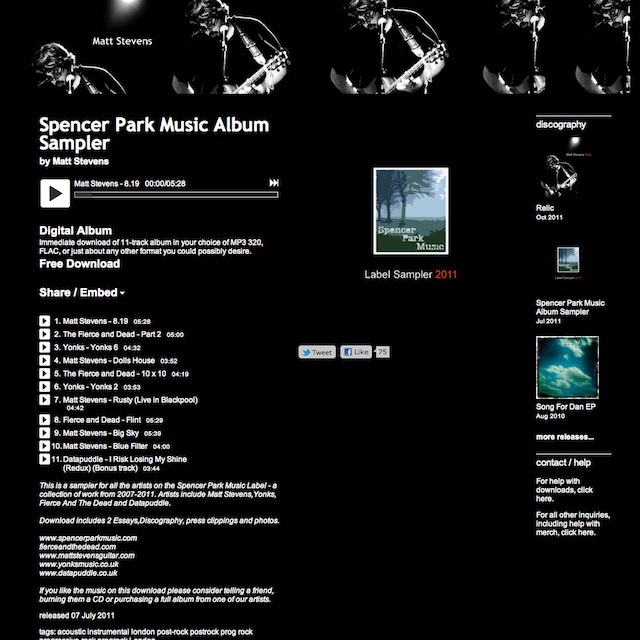 His label 'Spencer Park Music' has kindly released a free sampler containing tracks from Matt and all his other projects: The Fierce and The Dead and Yonks as well as a bonus track from Datapuddle. Have a wee listen below... and if you like it goto Matt Steven's bandcamp page and grab the sampler for free. If you like what you hear on the sampler then please buy Matt's music... and support truly innovative independent music.